Ugly, isn’t it. 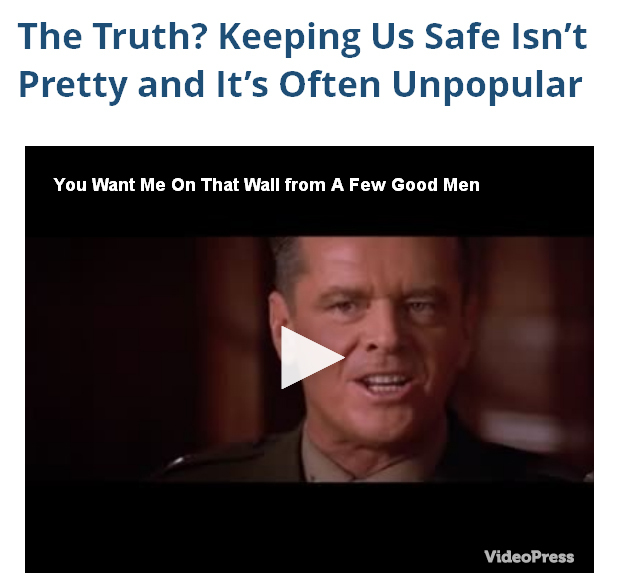 Putting the despicable character and fictional murder aside, much of what Jack Nicholson/Colonel Jessup says is actually very true. Protecting the USA and the liberties we take for granted is an ugly business. War is horrible but we do need people willing to pick up guns and stand posts to protect us. Today, we recognize Vets who served in unpopular and/or often overlooked wars, conflicts and missions. Specifically, Vets that people don’t always want to think about who did stand on “that wall” so that I can write this and you can disagree with it without fear of repercussions. 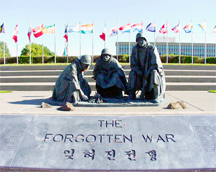 Korean War and our Troops in South Korea Today. Often called the “Forgotten War,” our troops stay there today and while it may be “safer” than the Middle East right now, it’s a very volatile and dangerous place protected by multiple branches of the US Armed Services. Bay of Pigs. Few people really know which Vets supported the CIA (but I’m sure they are out there). Those who do know literally are a dying breed. Dominican Republic Operation Power Pack, 1965-1965. Often overlooked completely due to Vietnam, Lyndon Johnson ordered an invasion following questionable elections, coups, general instability and emerging civil war. He feared, rightly or wrongly, that the DR would become a new “Cuba.” Over the course of the 1.5 year invasion, 42,000 Americans served in the Dominican Republic and at its height, there was a peacekeeping force of 23,000. Few few people (including myself) remember or even know about this. 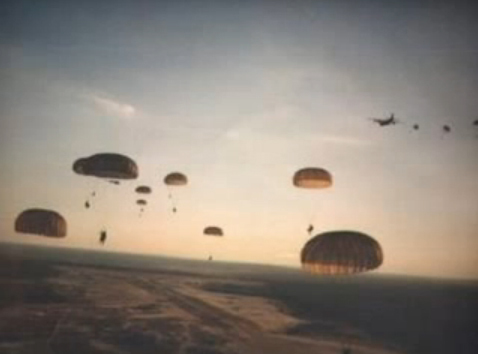 The April 28, 1965 invasion was led (again) by US Marines and the Army 82nd Airborne Division. Lebanon Peacekeeping Mission, 1982 to 1984. Many people forget this, even though 241-plus Marines, Sailors and Soldiers killed by suicide bombers in the October 1983 bombing of our Beirut Barracks. Grenada “Operation Urgent Fury,” October 1983. Many people remember Marines rescuing medical students, but the primary objective was preventing Grenada from becoming a new Cuba. The initial invasion was by a force largely of made of Navy Seals, Army Rangers and the 82nd Army Airborne. Panama Operation Just Cause, December 1989. Primarily US Army and initial invasion by 82 Airborne. Along with capturing Manuel Noriega on drug charges, the goals were to stabilize the country after attempted coups to oust Noriega, maintain safe passage through the Panama Canal, and protecting US Bases and Military Training Facilities in Panama. 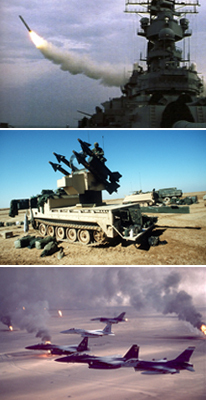 Iraq/Kuwait Operation Desert Shield, 1990-91 and Desert Storm (First Iraq War), January – Februrary 1991. Multiple branches of US Armed Forces joined NATO alliance to kick Iraq out of Kuwait. Battle of Mogadishu, Somalia (Black Hawk Down), October 1993. US Army including 75th Ranger Regiment, 82nd Airborne, and “Delta” Force, with goal of capturing key supporters of warlord/terrorist Mohamed Farrah Aidid. Peacekeeping in Croatia, Bosnia and Herzegovina following Dissolution of Yugoslavia, 1992-1995. Multiple branches of US Armed Forces as part of United Natoins Protection Force (UNPROFOR). Countless Missions throughout the world that you will never hear about and others that I’m sure I’ve omitted unintentionally. Based on public information (and much remains classified decades later), Vets involved in the above actions were members of Air Force, Army, Coast Guard and Navy Special Forces and specially trained units. For many years, the Marines did not have a specifically designated Special Forces unit, instead they routinely supported (and still do support) missions undertaken by all of the above. We want to thank a commenter who pointed an error out to us in an early version of this post. In February 2006, the US Marines officially activated the Marine Corps Forces Special Operations Command (MARSOC). MARSOC’s primary missions are typically special reconnaissance, direct action, and internal defense within foreign nations. While we did do a lot of research for this post, the US Marine’s recently moved their website and we had trouble finding information we could confirm. We apologize to anyone that was offended by this eror. .
We want to thank Special Forces because many who survive aren’t allowed to discuss what they did or why. Nobody knows the horror of war more than the men and women who fight them. But it’s often necessary so that we have the freedom to do what we want. 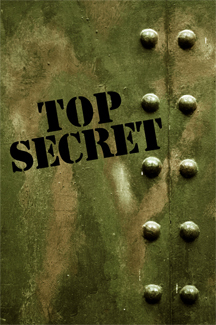 Most Americans rarely hear what our Special Forces and other elite divisions do. The wide publicity (and big mouths that should have stayed shut) when the Seals got Osama bin Laden was a rare exception. Many Americans don’t like to hear about these things, particularly Special Ops and/or “Black Ops.” Remember: one reason you can express your opinions freely is because these things did, and still will, happen. In a lot of other countries, not only would the person who voiced his/her opinion disappear, so would most or all of his/her family. Vote and do so wisely. Thank those who are and were willing to die so you can insult them without recourse. Find a country you think is better and move there. I honestly used to think I’d never say or write the 3rd bullet. But that was before I got to know a lot of Vets from special units, many who served in the conflicts mentioned above. 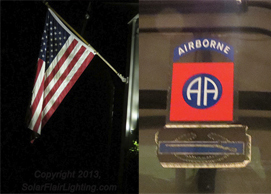 Here’s a photo of my garage and the flag that stands outside the house next to it. I take this post personally because it is personal to me. My husband was with the 82nd Airborne and remembers the deaths of many killed in combat, most especially, Captain Michael F. Ritz in Grenada. Many of our friends and family are Vets, dating back to World War I through current and recent service in Iraq and Afghanistan. I also have two friends from college whose parents and grandparents were of Jewish and/or Basque (gypsy) descent. Both families escaped Germany and settled in Argentina. So, yeah, I really do appreciate what the spirit and efforts of our troops. I do want people standing on walls protecting me. Even though Colonel Jessup /Jack Nicholson was an ugly, his initial intentions were very good indeed. And I am very thankful to all of the Veterans, male and female, young and old who have made this country one of the best places to live. Copyright 2013, SolarLightingSmart.com, SolarFlairLighting.com, AM McElroy. All rights reserved. This post/article may not be used in any form what-so-ever without the express written consent of one of the above. This entry was posted in Seasonal, Uncategorized, What's New and tagged Army Rangers, Grenada, Manuel Noriega, Paratroopers Invading Grenada, Special Forces, Washington State Korean War Memorial by SolarLightingSmart. Bookmark the permalink. Marines do have their own special operations. The organization stood up about 6 years ago. It is the smallest of all the spec ops organizations. Today it handles 87% of special operations worldwide. In a few years time, you’ll be able to read about them. Thanks for letting me know. I did a lot of research on this and couldn’t find anything and information above largely came from official US Military sites. My guess: Marines don’t publicize this the way Navy and Army do. Can you provide me with a link to more information so I can update the post. I want this to be as accurate as possible and to provide appropriate information. Thanks.